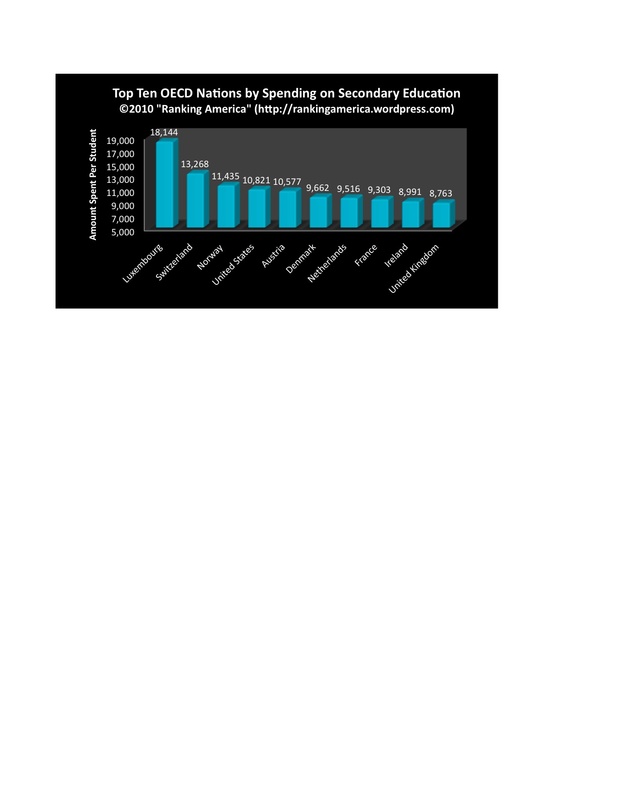 According to the OECD, the Americans generated 450 kilograms per person of household waste in 2005, which makes the United States tied for seventh (with Australia) in that category. Denmark ranks first, at 620 kilograms per capita. According to the World Resources Institute, 0.51% of agricultural land in the United States is committed to organic farming, which makes the United States rank fifty-fourth in that category. 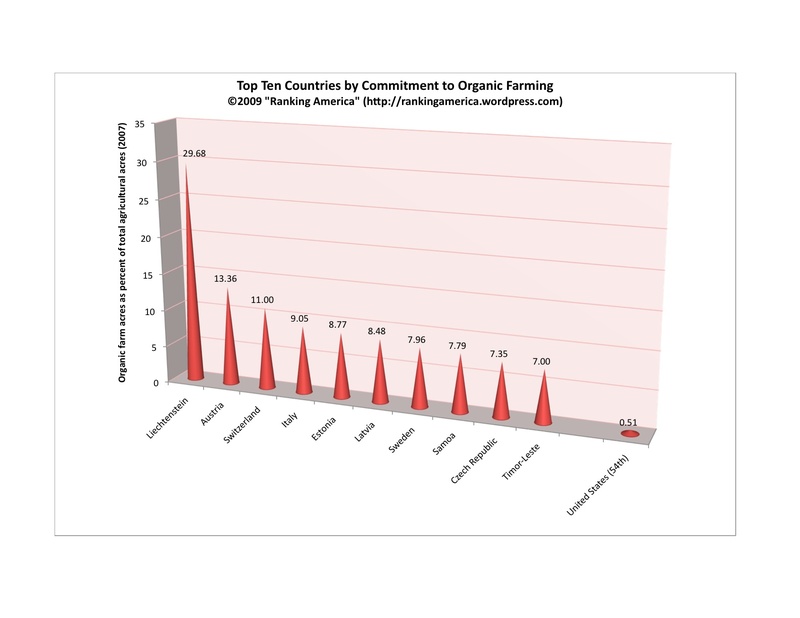 Liechtenstein ranks first, with 29.68% of agricultural land committed to organic farming. 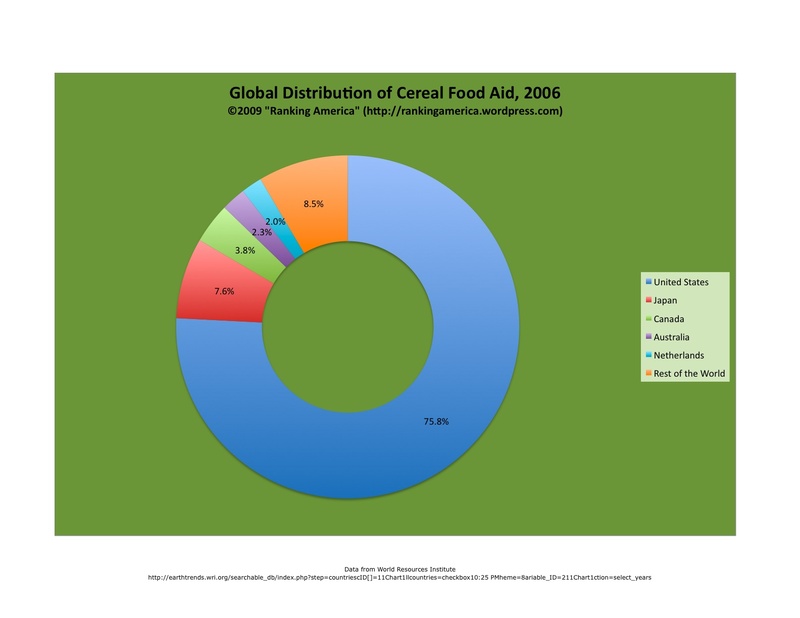 According to the World Resources Institute, in 2006 the United States donated 2,235.6 metric tonnes of cereals as food aid, or 75.8% of the world total. 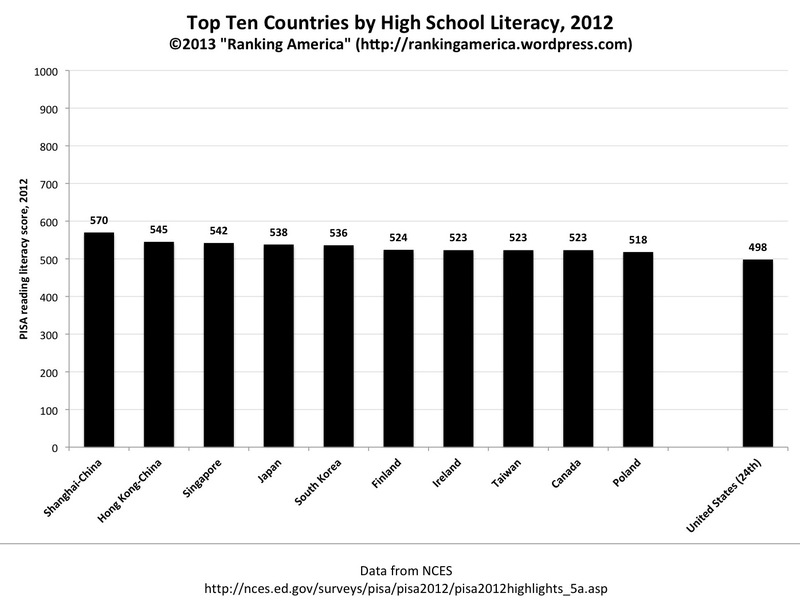 As a result, the United States ranks first in that category. According to the United Nations, in 2005 the median age in the United States was 36.1 years, which makes the United States rank forty-second in that category. 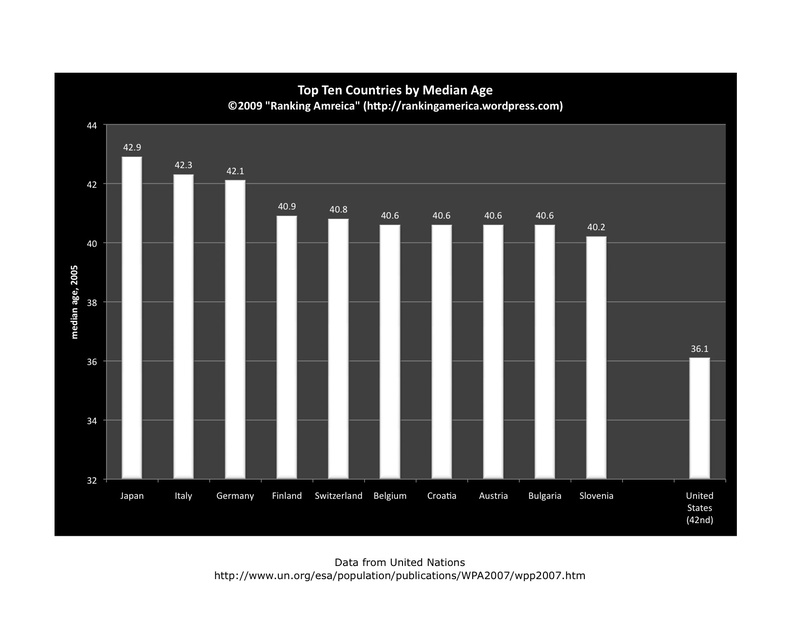 Japan ranks first with a median age of 42.9 years. 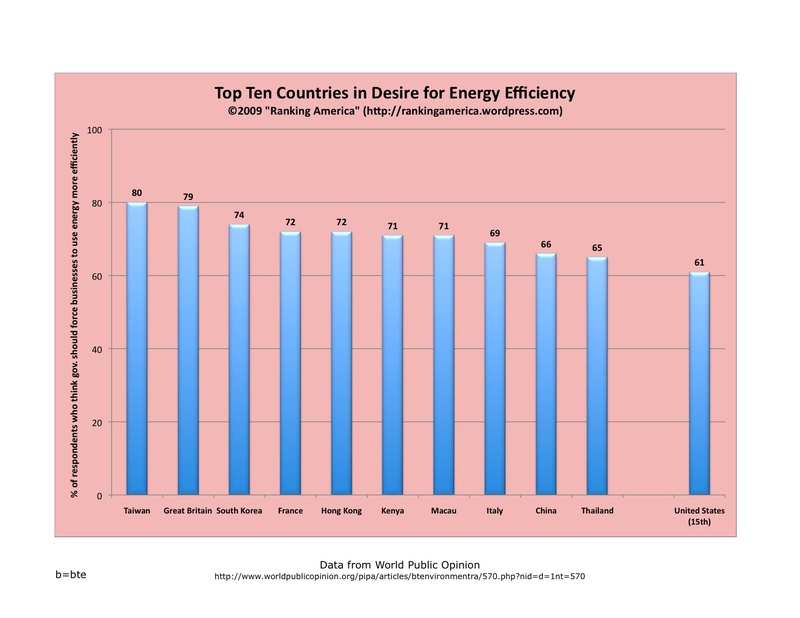 According to a 2008 survey conducted by World Public Opinion, 61% of Americans believe that the government should force businesses to use energy more efficiently, even at the risk of increased cost to consumers. 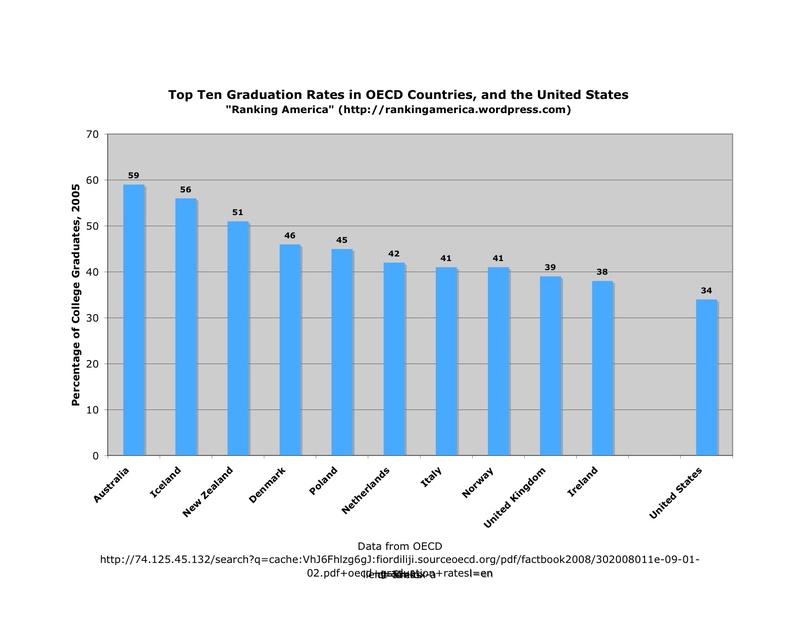 The United States ranks fifteenth out of twenty-four surveyed nations in this category. 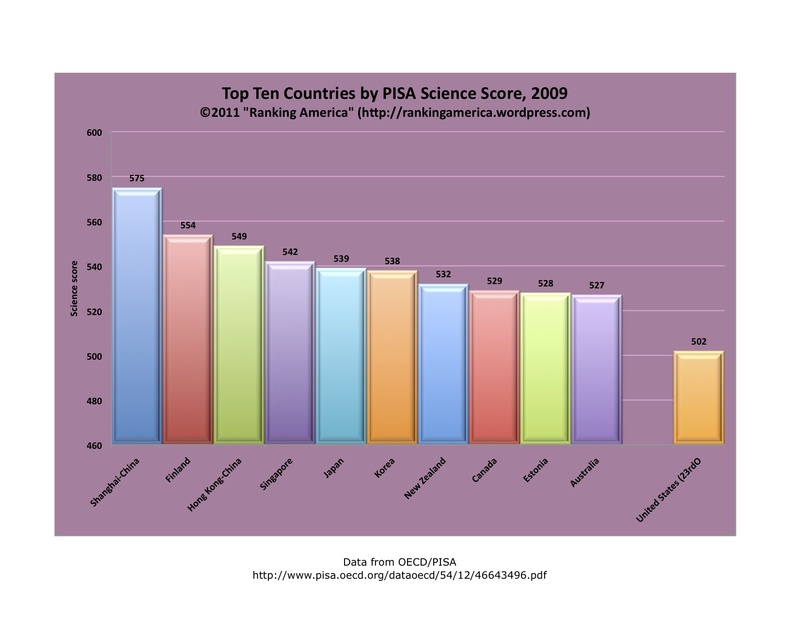 Taiwan ranks first, at 80%. 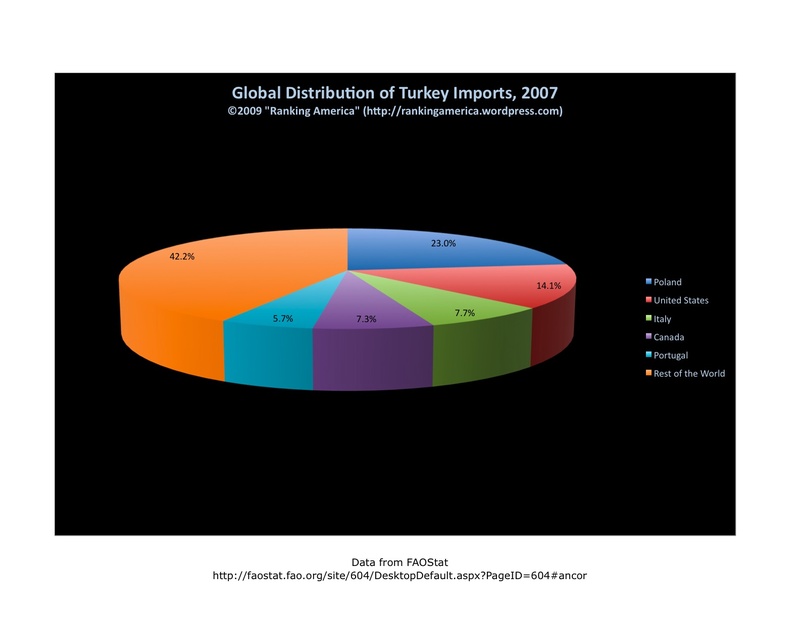 According to the Food and Agricultural Organization of the United Nations, in 2007 the United States imported 7,703,000 head of turkey in 2007, or 14.1% of the world’s total turkey imports, which made the United States rank second in that category. 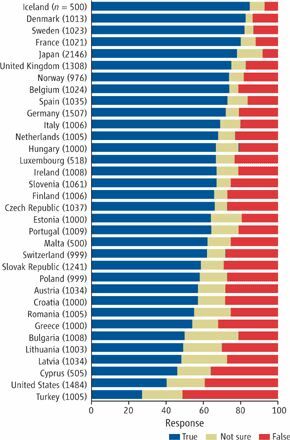 Poland ranked first, importing 12,559,000 head, or 23.0% of the world total.